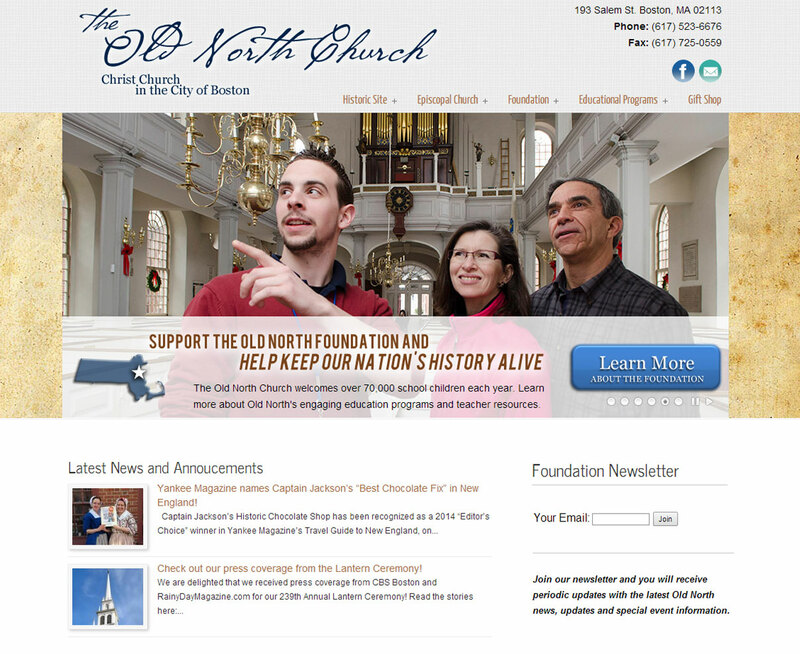 From 2012-2014 we were responsible for the online presence of one of Boston’s most recognized historical sites – the Old North Church on the infamous Freedom Trail. With half a million annual visitors, this was a unique project in a number of ways, mostly because the church serves so many purposes – historical site, congregation, educational programs, and more. 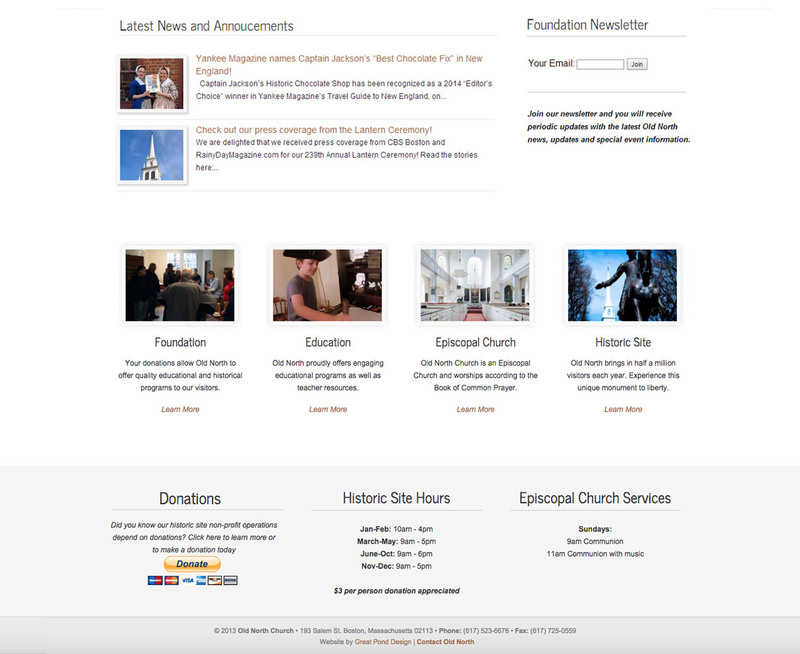 We worked within a tight budget to create a beautiful responsive website. Thankfully we saved a few screencaptures of this project as it remains one of our favorites, and most recognizable.